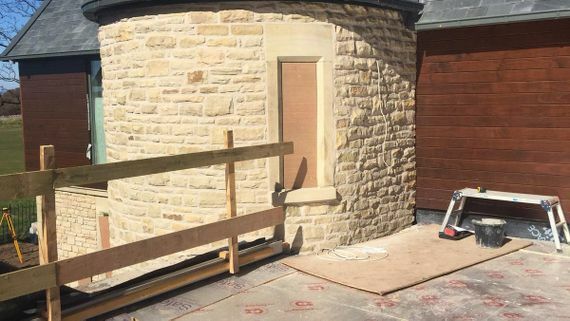 Whether you require restoration works or stone replacements, we’ve got you completely covered with our range of stonemasonry services. 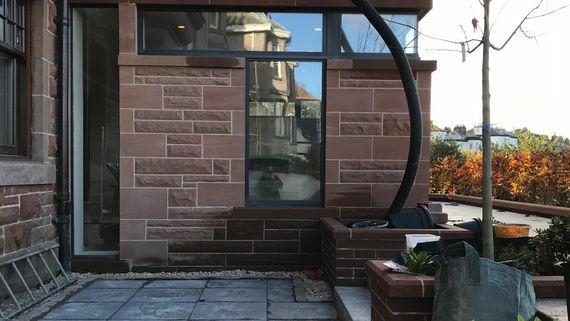 We provide a complete compilation of masonry work using traditional and more modern methods to suit your requirements. The stone cleaning and restoration work that we undertake ensures that you have stonework that you can be proud of. 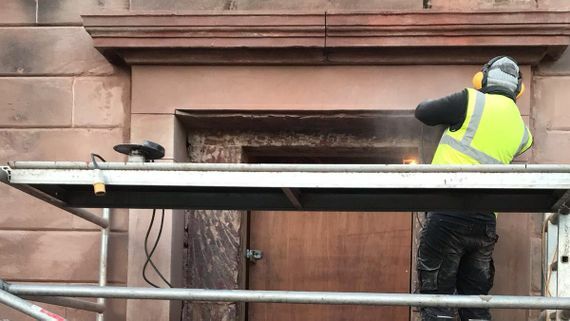 We use many different techniques including DOFF system for the removal of graffiti, organic matter, historical patini and carbon. 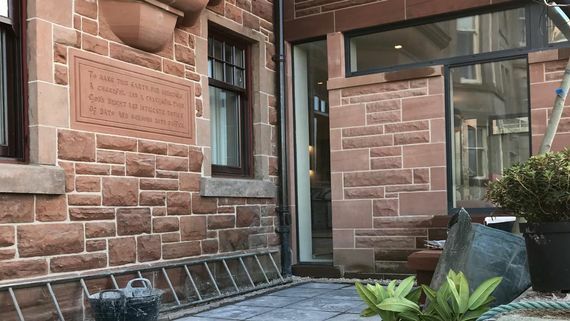 Call our stonemasons, in Glasgow, for more information on our stonemasonry services. All of our team are fully qualified with over 20 years of experience gathered by working on some of Britain's most historic buildings and monuments including Roslyn Chapel (featured in the Dan Brown movie, The Davinci Code), The Burns Monument in Edinburgh, Linthigow Burgh Halls an most recently the project on Calton Hill in Edinburgh. 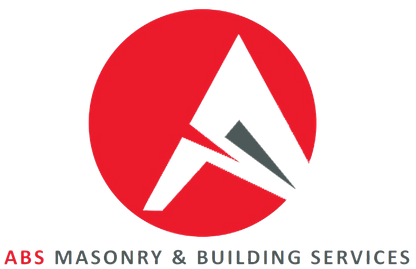 All of our masons have the knowledge and skills to meet your needs. We also specialise in new builds and stone cladding. Based in Glasgow, we cover the full UK providing excellent work, and we’re completely covered by guarantees and full public liability and indemnity insurance. Call us today for a free quote survey on your building or for advice in ways and methods if you are undertaking a new build.